"A CHURCH EXEMPLIFYING CHRISTIAN LOVE"
Sunday Morning Service 8:00-9:00 A.M Wednesday Prayer Service 6:30-7:00 P.M.
Sunday School Lesson 9:00-10:15 A.M Wednesday Sunday School Review 7:00-7:30 P.M.
Sunday Worship Service 10:15-12:00 P.M. Wednesday Youth and Teen Bible Study 7:00-8:15 P.M.
Wednesday Bible Study Adult 7:30-8:15 P.M. 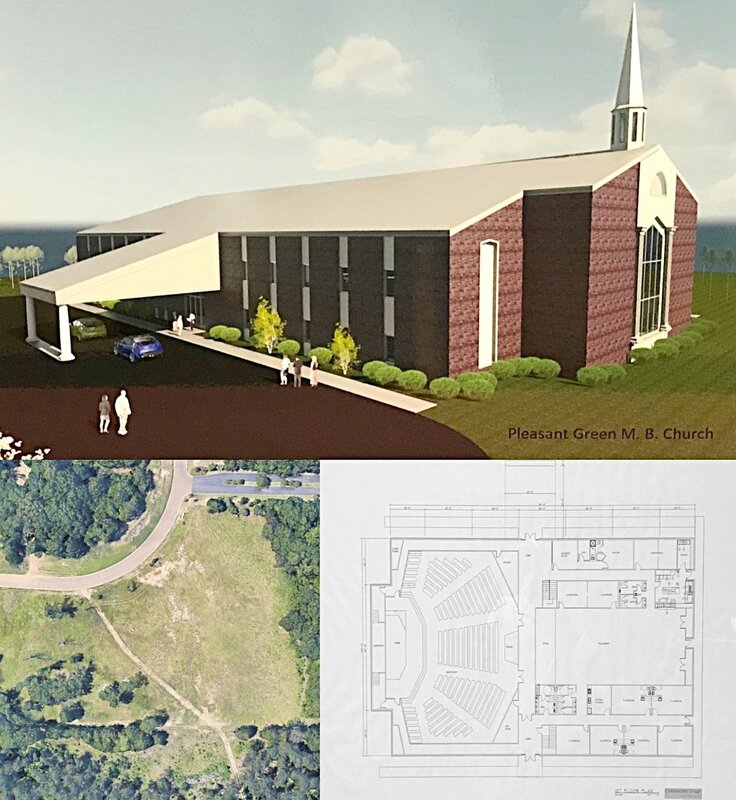 Under the leadership of Pastor Darrel McQuirter, Pleasant Green MB Church is currently working on building a new church and fellowship hall. The new church sanctuary will hold over 550 people with a balcony that can hold an additional 150. The fellowship hall will hold 300 people. Pleasant Green MB Church is heading towards a bright future and everyone is welcome to join.